Sydney's Fashion Diary: CLOSED - Giveaway: Win a $50.00 gift certificate to La Posh Style! 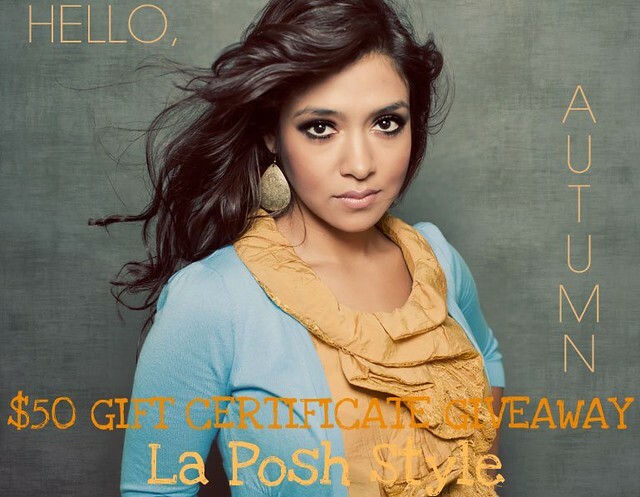 CLOSED - Giveaway: Win a $50.00 gift certificate to La Posh Style! La Posh Style on Facebook. Check back next Monday (10.17) to see if you are the lucky winner. Giveaway open to U.S readers only! ughhh shame it's not a worldwide giveaway! good luck to everyone! wish i could enter!